Thanks to Daniel Bensen for the fun interview! We discuss the rights of artificial intelligences, whether our moral intuitions break down in far-out SF cases, the relationship between science fiction and philosophy, and my recent story "Momentary Sage". A nerd is someone who loves an intellectual topic, for its own sake, to an unreasonable degree. The nerd might be unreasonably passionate about Leibnizian metaphysics, for example -- she studies Latin, French, and German so she can master the original texts, she stays up late reading neglected passages, argues intensely about obscure details with anyone who has the patience to listen. Or she loves twin primes in that same way, or the details of Napoleonic warfare, or the biology of squids. How could anyone care so much about such things? It's not that the nerd sees some great practical potential in studying twin primes (though she might half-heartedly try to defend herself in that way), or is responding in the normal way to something that sensible people might study carefully because of its importance (such as a cure for leukemia). Rather the nerd is compelled by an intellectual topic and builds a substantial portion of her life around it, with no justification that would make sense to anyone who is not similarly consumed by that topic. All passions drift free of reasonable justification to some extent, but still there's a difference between moderate passions and passions so extreme and compelling that one is somewhat unbalanced as a result of them. The nerd will sacrifice a lot -- time, money, opportunities -- to learn just a little bit more about her favored topic. The secondary features of nerdiness are side effects: The nerd might not care about dressing nicely. She's too busy worrying about the Leibniz Nachlass. 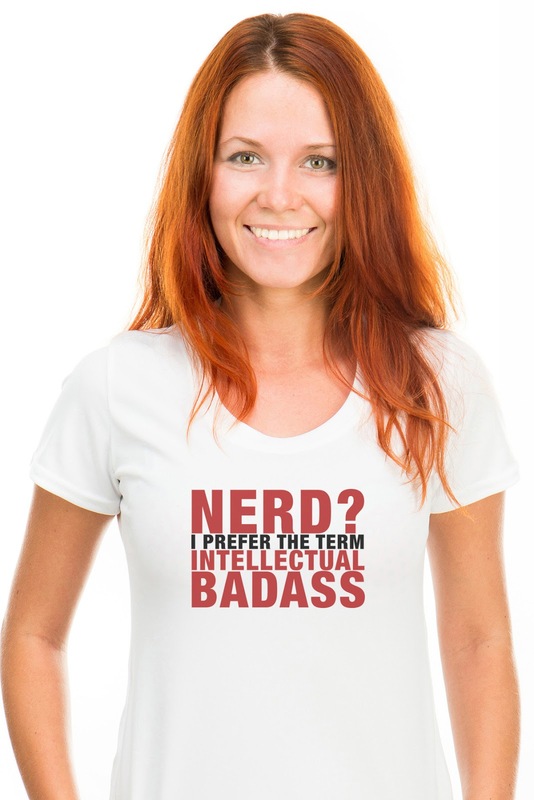 The nerd might fail at being cool -- she's not invested in developing the social skills that would be required. The nerd might be introverted: Maybe she really was introverted all along and that's part of why she found herself with her nerdy passions; or maybe she's an introvert partly in reaction to other people's failure to care about squid. Oh, but now squid have come up in the conversation? Her knowledge is finally relevant! The nerd becomes now too eager to deploy her vast knowledge. She won't stop talking. She'll correct all your minor errors. She'll nerdsplain tirelessly at you. The nerd needn't possess any of these secondary features: Caring intensely about the Leibniz Nachlass needn't consume one entirely, and so there can still be room for the nerd to care also, in a normal, non-intellectual way, about ordinary things. But the tendency on average will be for nerdy passion to push away other interests and projects, with the result that uncool, shlumpy introverts will be overrepresented among nerds. Innate genius might exist. But I don't find the empirical evidence very compelling. What I think passes for innate genius is often just nerdy passion. Meeting the nerd on her own turf, she can appear to be a natural-born genius or talent because she has already thought the topic through so thoroughly that she operates two moves ahead of you and has a chess-master-like recognition of the patterns of intellectual back-and-forth in the area. She has thought repetitively, and from many angles, of the various ways in which pieces of Leibniz might possibly connect, or about the wide range of techniques in prime-number mathematics, or about the four competing theories of squid neural architecture and their relative empirical weaknesses. She dreams them at night. How could you hope to keep up? She will also master related domains so that she exceeds you there, too -- early modern philosophy generally and abstract metaphysics, say, for the Leibniz nerd. Other aspects of her mind might not be so great -- just ask her to fix a faucet or find her way around downtown -- but meet her anywhere near her turf and she'll scorch right past you. If she is good enough also at exuding an aura of intelligence (not all nerds are, but it's a social technique that pairs well with nerdiness), then you might attribute her overperformance on Leibniz to her innate brilliance, her underperformance in plumbing to her not giving a whit. Movies like Good Will Hunting drive me nuts, because they feed the impression that intellectual accomplishment is the result of an innate gift, rather than the result of nerdy passion. In this way, they are antithetical to the vision of nerdiness that I want to celebrate. A janitor who doesn't care (much?) about math but is innately great at it -- and somehow also knows better than history graduate students what's going on in obscure texts in their field? Such innate-genius movies rely on the fixed mindset that Carol Dweck has criticized. 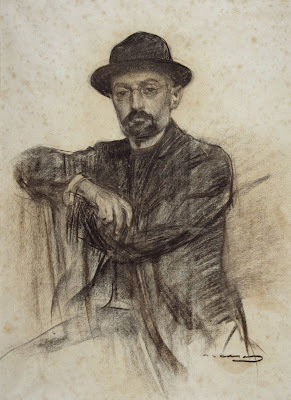 What I think I see in the nerdy eminences I have met is not so much innate genius as years of thought inspired by passion for stuff that no one sensible would care so much about. Society needs nerds. If we want to know as much as a society ought to know about Leibniz and about squids, we benefit from having people around who are so unreasonably passionate about these things that they will master them to an amazing degree. There's also just something glorious about a world that contains people who care as passionately about obscure intellectual topics as the nerd does. It would be exciting to discover life on another planet -- no doubt about that! But why would it be exciting? Let's start with a contrast: the possibility of finding intelligence that is not alive -- a robot or a god, without means of reproduction. (Standard textbook definitions, philosophy of biology, and NASA-sponsored discussions all tend to define "life" partly in terms of reproduction.) I'm inclined to think that the search for extra-terrestrial life would have been successful in its aims if we discovered a manufactured robot or a non-reproducing god, even if such beings are not technically alive or are only borderline cases of living things. So maybe what we call the "search for life" is better conceptualized as the search for... well, what exactly? The robot and god cases might suggest that what we really care about is finding intelligence. SETI, for example, takes that as its explicit goal: the Search for Extra-Terrestrial Intelligence. But an emphasis on intelligence appears to underestimate our target. We'd be excited to find microbes on Mars or Europa -- and the search for extra-terrestrial life would rightly be regarded as having met with success (though not the most exciting form of success) -- despite microbes' lack of intelligence. Or do microbes possess some sort of minimal intelligence? They engage in behaviors that sustain their homeostasis, repelling some substances and consuming others, for example, in a way that preserves their internal order. This type of "intelligence" is also part of standard definitions of life. Maybe, then, order-preserving homeostasis is what excites us? 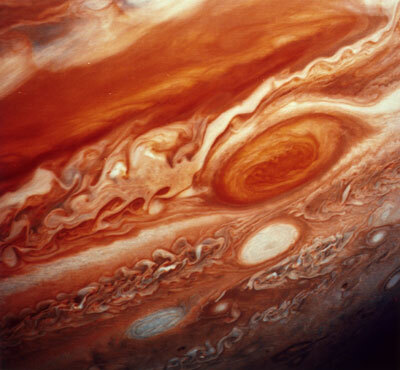 But then, Jupiter's Great Red Spot does something something similar, but we don't seem to think of it as the kind of thing we're looking for in searching for life. Are we looking, then, for complexity? Maybe a microbe is more complex that the Great Red Spot. (I don't know. Measuring complexity is a vexed issue.) But sheer complexity doesn't seem like what we're after. Galaxies are complex, and the canyons of Mars are complex, and there are subtle, complex variations in cosmic background radiation -- all very interesting, but the search for life appears to be something different, not just a search for complexity. Maybe discovering life would be interesting because it would give us a glimpse of our potential past? Life on Earth evolved up from microbes, but it's still obscure how. Seeing microbial life elsewhere might illuminate our own origins. Maybe, if it's very different from us, it will also illuminate the contingency of our origins. Maybe discovering life would be interesting because it would complete the Copernican revolution, which knocked human beings out of the center of the cosmos? Earth is still special in being the only planet known to have life, and maybe that sense of specialness is still implicit in our thinking. Finding life elsewhere might knock us more fully from the center of the cosmos. Maybe discovering life would be interesting because it would be a discovery of something with awesome potential? Reproduction might work its way back into our considerations here. Microbes can reproduce and thus evolve, and maybe their awesomeless lies partly in the possibility that in a billion years they could give rises to multicellular entities very different from us -- capable of very different forms of consciousness, self-awareness, pleasure and pain, creativity, art. On the flip side, maybe it would be interesting for its potential use: intelligences with technology to share, non-technological organisms with interesting biologies from which we could learn to construct new medicines or other technologies. Would it be interesting in the same way to find remnants of life? I'm inclined to think it would have some of the same interest. If so, and if we're inclined to think, for whatever reason, that technological societies tend to be short-lived, then we might dedicate some resources toward detecting possible signs of dead civilizations. Such signs might include solar collectors that interfere with stellar output, or stable compounds in a planet's atmosphere that are unlikely to have arisen except by technological means. I see no reason we need to insist on a single answer to questions about what ambitions we do or should have in our search for extra-terrestrial company of some sort. But in the context of space policy it seems worth more extended thought. I'd like to see philosophers more involved in this, since the issues go right to the heart of philosophical questions about what we do and should value in general. Acknowledgement: This is one of two main issues that struck me during my recent trip to an event on the search for extraterrestrial life, funded by NASA and the Library of Congress. Thanks to LOC, NASA, and the other participants. I discuss the other issue, about our duties to extraterrestrial microbes, here. NASA and other leading space agencies do not appear to have formal policies about how to treat microbial life if it's found elsewhere in the solar system. I find this surprising. NASA and other space agencies do have rigorous and detailed protocols regarding the cross-contamination of microbial life between planets. If you want to send a lander to Mars, it must be thoroughly sterilized. Likewise, extensive protocols are being developed to protect Earth from possible extra-terrestrial microbes in returned samples. NASA has an Office of Planetary Protection that focuses on these issues. However contact with microbial life raises ethical issues besides cross-contamination. 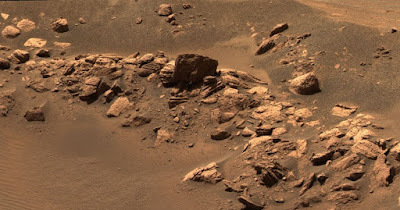 Suppose NASA discovers a patch of microbes on Mars. Presumably, NASA scientists will want to test it -- to see how similar Martian life is to Earthly life, for example. Testing it might involve touching it. 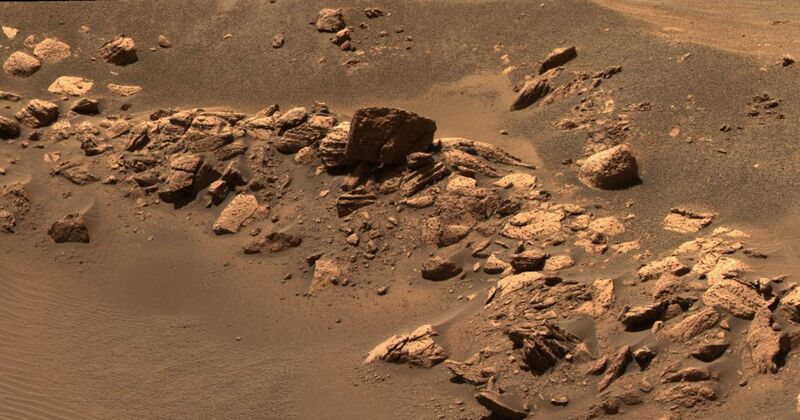 Maybe NASA scientists will want a rover to scoop up a sample for chemical analysis. But that would mean interfering with the organisms, exposing them to risk. Even just shining light on microbes to examine them more closely is a form of interference that presents some risk -- even the shadow of a parked rover creates a small degree of interference and risk. How much interference with extraterrestrial microbial life is acceptable? How much risk? These questions will rise acutely as soon as we discover extraterrestrial life. In fact, proving that we have actually discovered life might already involve some interference, especially if the sample is ambiguous or subsurface. These questions are quite independent of existing regulations about sterilization and contamination. We need to consider them now, in advance, before we discover life. Otherwise, NASA leaders might be in the position of making these decisions on the fly, without sufficient public input or oversight. Here's another question in the ethics of contact: Suppose we discover a species of microbe that appears to be under threat of extinction due to local environmental conditions. Should we employ something like a "Prime Directive" policy, on the microbial level: no interference, even if that means extinction? Or should we take positive steps toward alien species protection? First, rather than a rigid set of rules, IRBs and ACUCs employ a flexible set of general guidelines. The guidelines governing research on human participants tend to be very conservative about risk in general; but the committee is also charged with weighing risks against benefits. 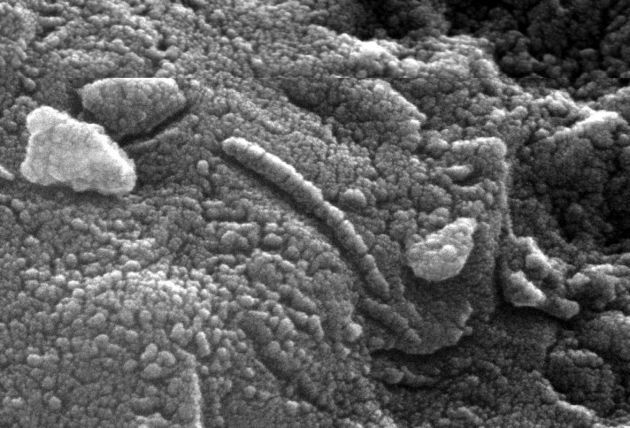 In the context of extraterrestrial microbiology, a reasonable standard might be extreme caution about interference, but one that allows, for example, a small sample to be very carefully taken from a large, healthy microbial colony, for experimentation and then careful disposal without re-release into the planetary environment. As reflection on this example suggests, people might have very different ethical opinions about how much risk and interference is appropriate, and of what sort. Also, expert scientists will want to think in advance about assessing the sources of risk and what feasible steps can be taken to minimize those risks, contingent on various types of possible preliminary information about the microbe's structure and habitat. I do not see evidence that these issues are being given the serious thought, with public input, that they need to be given. Second, IRBs and ACUCs are normally constituted by a mix of scientist and non-scientist members, the latter typically drawn from the general public (often lawyers and schoolteachers). The scientists bring their scientific expertise which is essential to evaluating the risks and possible benefits, but the non-scientist members play an important role in expressing general community values and in keeping the scientists from possibly going too easy on their scientist friends, as well as sometimes specific expertise on related non-scientific issues. In the context of the treatment of extraterrestrial microbial life, a mixed committee also seems important. It shouldn't only be the folks at the space agencies who are making these calls. Third, IRBs and ACUCs assess specific protocols in advance of the implementation of those protocols. This should be done where feasible, while also recognizing that some decisions may need to be made urgently without pre-approval when unexpected events occur. I think we should begin to establish moderately specific national and international guidelines governing human interaction with microbial life elsewhere in the solar system, in which contamination is regarded as only one issue among several; that we should formulate these guidelines after broad input not only from scientists but also from the general public and from people with expertise in risk and research ethics; and that we should form committees, modeled on IRBs and ACUCs, of people who understand these guidelines and stand ready to evaluate proposals at the very moment we discover extraterrestrial life. NASA, ESA, etc., what do you think?